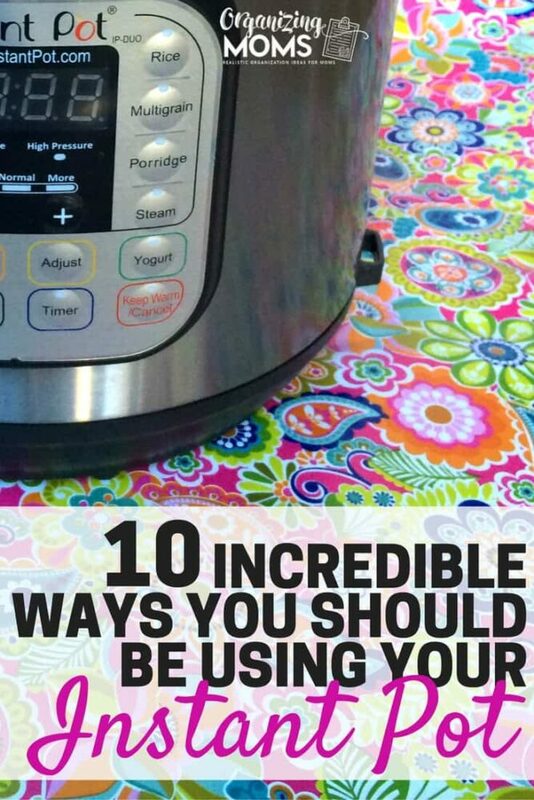 Have you wondered if an Instant Pot would be worth the investment for you? For most people, cooking with a pressure cooker can be a little intimidating. 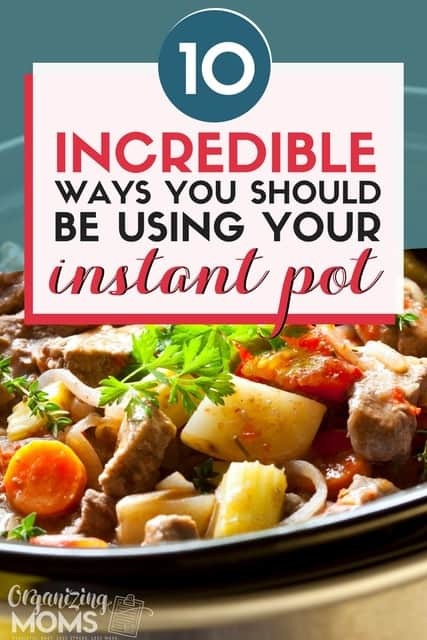 But, if you’re looking for ways to simplify food prep, learning to work with an Instant Pot can be incredibly helpful. 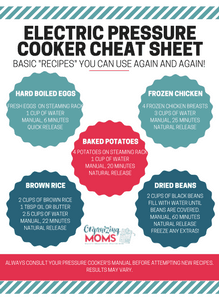 Get Your Recipe Cheat Sheet! 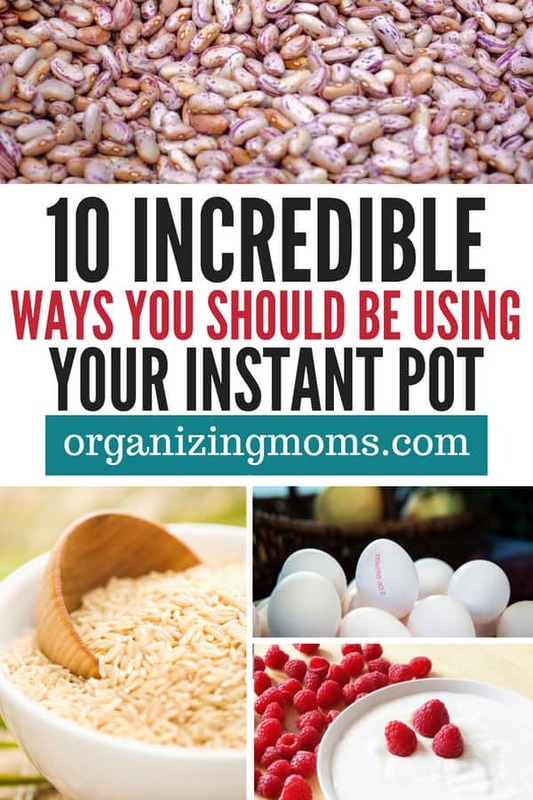 Some of my favorite Instant Pot recipes are the basics that save me time and money. I got tired of always fumbling around and looking for instructions on how to cook staples like hard boiled eggs, frozen chicken, and baked potatoes. Make PERFECT Hard-Boiled Eggs – I’ve always had trouble peeling hard-boiled eggs, and I’m pretty sure I’ve tried all of the “tricks” out there. Hard-boiled eggs made in the Instant Pot are easy to peel, and it didn’t take much longer to cook them than if I would have cooked them on the stove. Here’s the recipe I used. Cook Frozen Chicken Breasts in an Hour – Am I the only one that forgets to thaw meat? Here’s instructions on how to cook up some dinner-worthy chicken breasts, even if they’re coming straight from the freezer. Make Kid-Friendly Instant Pot Recipes and save tons of time in the kitchen! Make Your Own Yogurt – If you’ve ever tried to make your own yogurt, you know it’s a process! Many Instant Pots come with a Yogurt function, which means you can save time and money by making your own yogurt at home. Making yogurt in an Instant Pot is much simpler, and you control the ingredients. 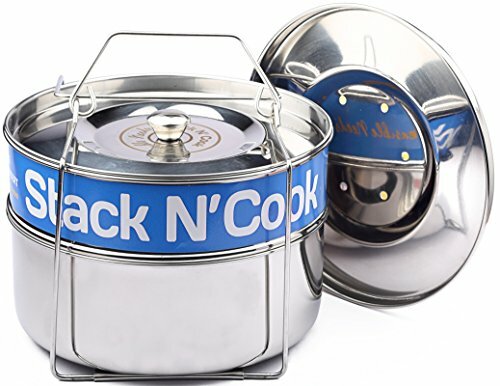 Use it As a Slow Cooker – Need to set it and forget it? Instant Pots have a slow cooker function that will allow you to cook a meal just like you would in a crockpot. I haven’t gotten rid of my slow cooker yet, but the next time the ceramic crock cracks, I’m not replacing it! Use it As A Rice Cooker – Here’s my favorite recipe for cooking brown rice. Our rice cooker pot has a Teflon lining, which kind of scares me. 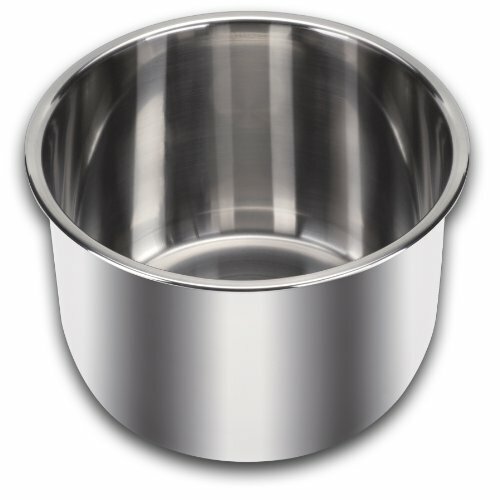 From now on I’ll be using the Instant Pot instead since it’s made out of stainless steel. 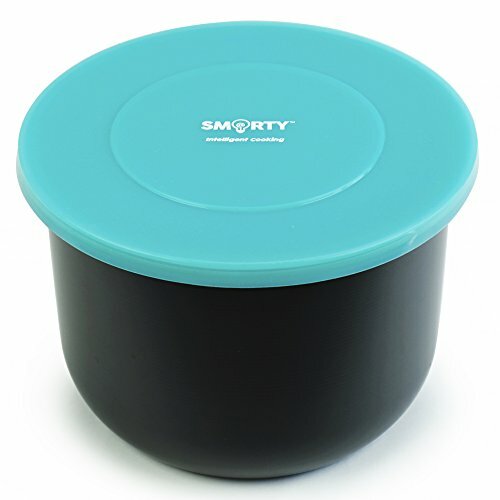 Use it to Cook Dried Beans – Save money and time by cooking your own beans in the Instant Pot. When you cook the beans yourself, you can avoid the BPA that’s in the lining of many cans. Plus, it’s so much cheaper to buy dried beans! Make Tomato Sauce – You control the ingredients! Click here to see video instructions. Cook One Pot Meals – Here are a ton of tested ideas. 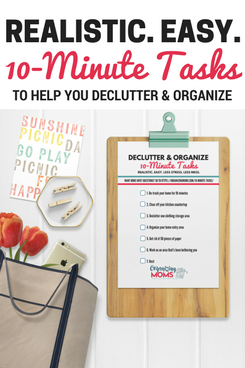 You’ll wash fewer dishes too! Make Broth – Another way to save money and control ingredients. Here’s how to do it. Make a Chocolate Cake – Because…why not?! Here’s the how-to. Looking for healthy dinner ideas? Here’s some delicious, Whole 30 compliant Instant Pot recipes that are great – even when you’re not following a specific eating plan! Need Instant Pot recipe ideas for chicken? Look at these easy, yummy chicken recipes. Even after reading the instructions, I was nervous about using my Instant Pot when I first got it. Watching You Tube videos about how to use it really helped me feel more comfortable. One of my favorite resources for using the Instant Pot is the Electric Pressure Cooking 101 course. 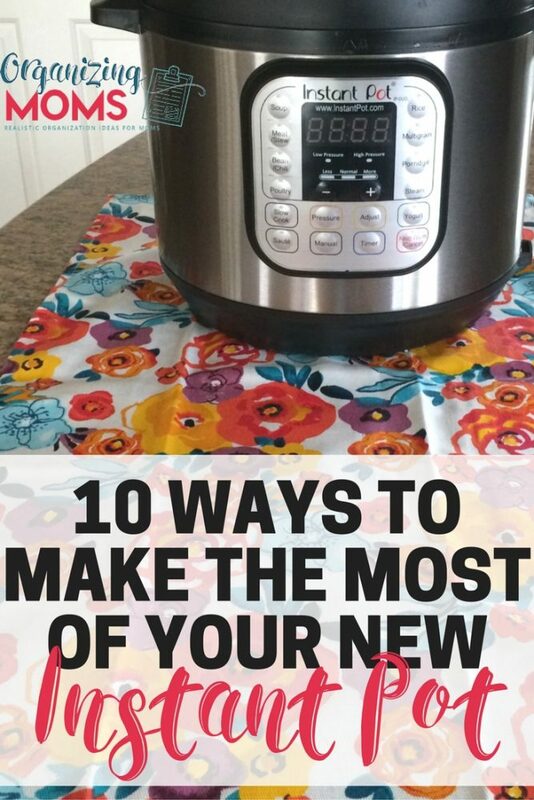 It will teach you how to safely use your Instant Pot so you don’t have to be afraid of it any more! 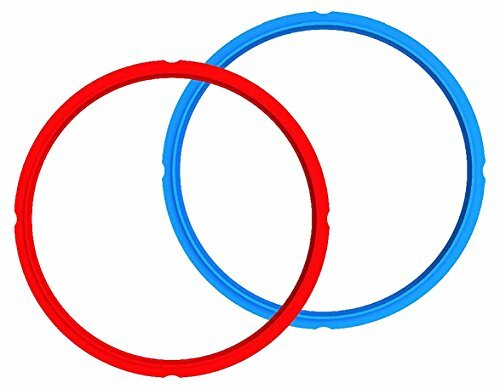 Extra silicone rings (because I goofed and made my original ring smell like salsa – forever). 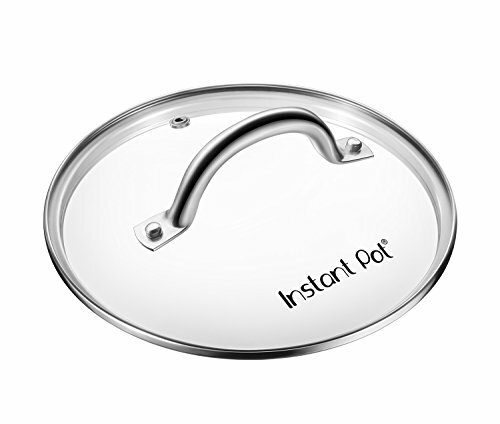 A glass lid for when I use the Instant Pot as a slow cooker. I like to be able to see inside the pot while things are cooking! My Instant Pot Cheat Sheet. Saves me a ton of time! Get your own free Instant Pot Cheat Sheet here. 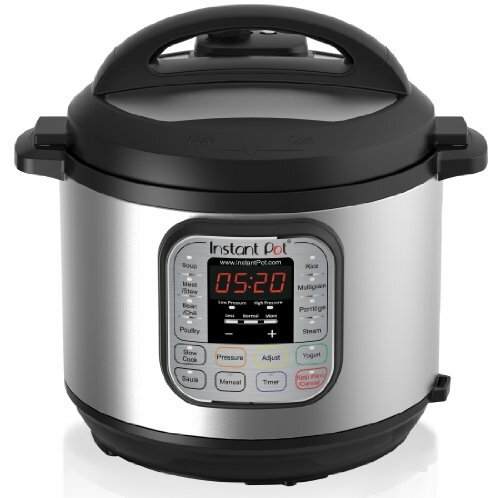 Want to see which Instant Pot I purchased? Here’s my Instant Pot on Amazon. WANT TO REMEMBER THIS? 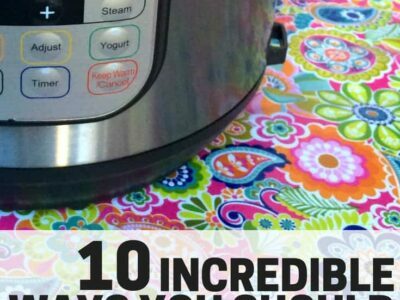 SAVE 10 INCREDIBLE WAYS YOU SHOULD BE USING YOUR INSTANT POT TO YOUR FAVORITE PINTEREST BOARD.